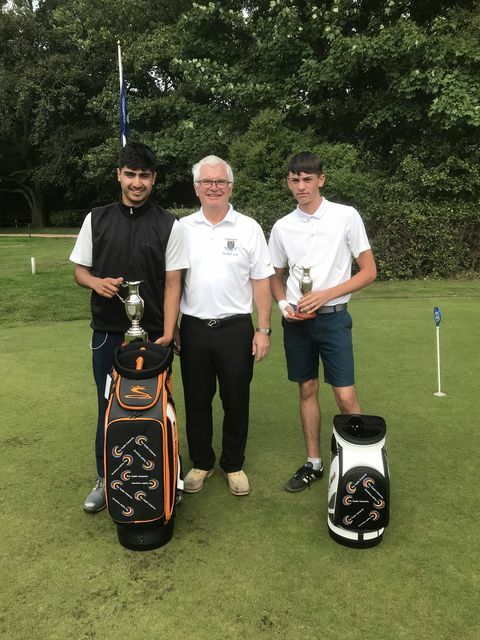 The final round of The Copier Company 2018 Junior Order of Merit was held at Horsforth Golf Club on 2 September 2018. The 3 contenders who had a chance of winning the coveted Copier Company Golf bag and the Claret Jug all turned out. Early OOM leaders Cameron Owen (Oulton Hall) and Daniel Lee (Sand Moor) played well scoring 73 and 77 respectively. However, Nathan Ali (Cookridge Hall) shot a fine 72 to win the gross competition on the day and retain his Order of Merit title. Nathan won 3 events, came second in two, to claim 470 Order of Merit points. Runner up was Cameron on 430 points with Daniel third on 425 points.